Last but not least here’s the review of the main item of my sleeping setup during my time in New Zealand. As you may know I used the Sea to Summit Spark II sleeping bag in combination with the Thermarest Neoair Xlite sleeping pad, the Outdoor Research Aurora bivouac sac and the Meru inlay sleeping bag. 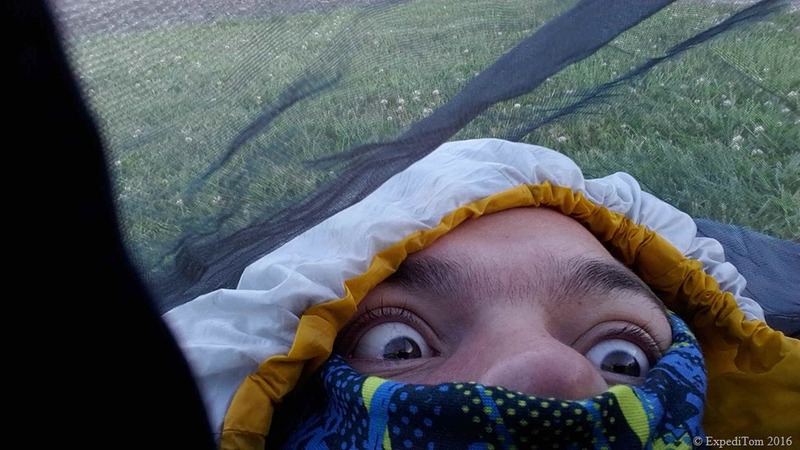 The first paragraph contains the technical description of the sleeping bag, the second and third discusses the subjective pro’s and con’s before the review finishes with the conclusion in the last paragraph. The Sea to Summit Spark II sleeping bag is for 3-season usage built and weighs 487 grams without compression packing sac which adds 34 grams. 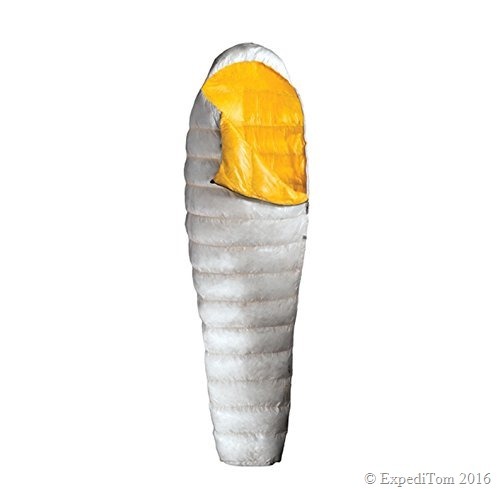 The company Sea to Summit claims the sleeping bag to be 464 grams, which is 23 grams less. The down fill weight is 280 grams according to Sea to Summit and I could not test that. The laboratory paper which states the quality of the down feathers and comes with every sleeping bag, says that it has 850+ ultra-dry down. Considering the highest number of general available sleeping bags is 900, this is pretty much as good as it gets. The shell fabric is 10D ultra-light nylon treated with DWR (=durable water-repellent). Nevertheless, the sleeping bag is not waterproof at all (A post about waterproof materials in general is coming soon). The liner is 15D nylon soft touch. 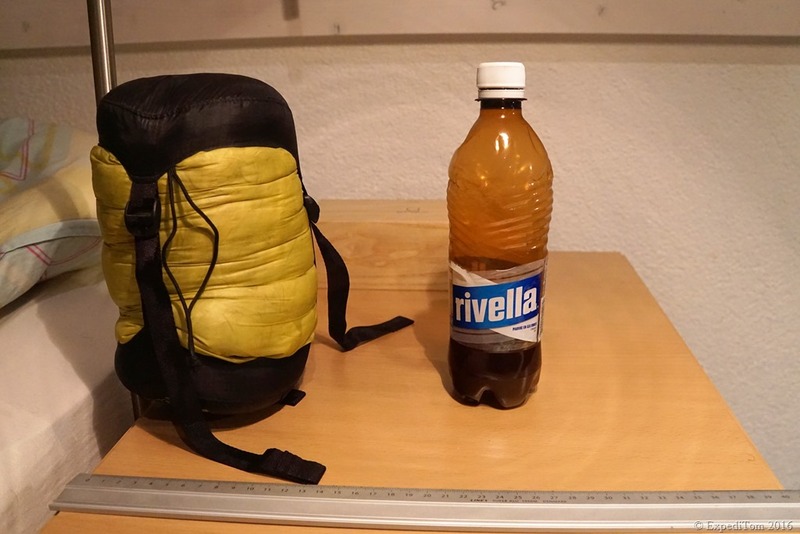 The #3 YKK zipper of the sleeping bag was shortened to one-third to cut weight. Included in the sleeping bag is a lightweight Ultra-Sil® compression bag, an oversized mesh storage cell and a cotton laundry bag. Moreover, the mentioned laboratory proof for the down feather quality. 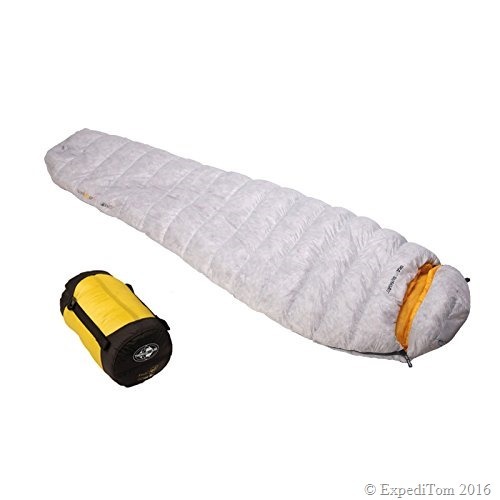 The Sea to Summit Spark II sleeping bag comes in two different sizes called regular and large. Sea to Summit recommends for people who are as tall as 180 to go with the regular size and I approve this too. Furthermore, the Spark II varies its fill 55/45 over the torso/legs. Thus, the differential fill lofts the potential space for heat where you need it most: over your thorax. The temperature range goes down to 2°C or 35°F. 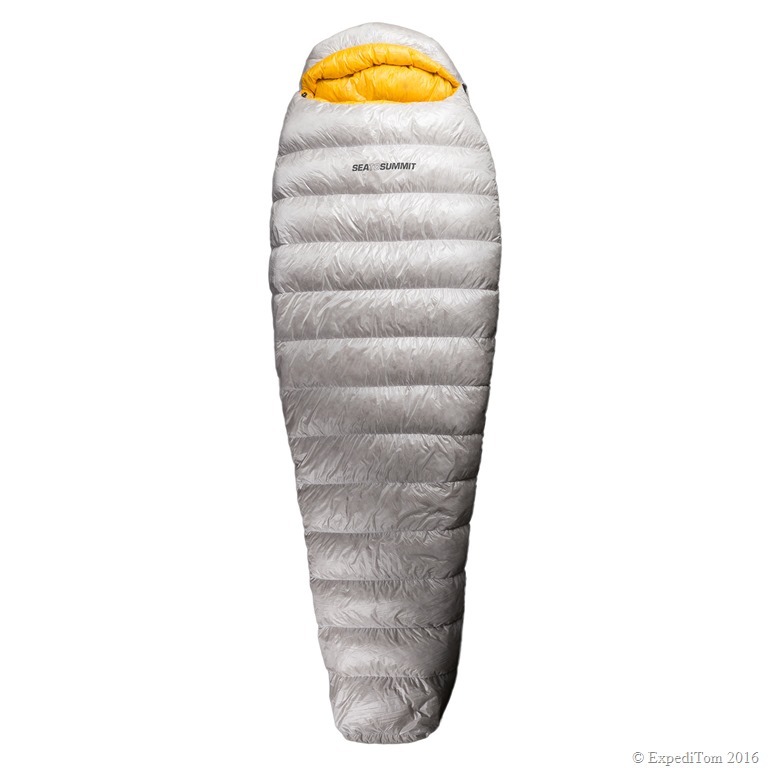 The Sea to Summit Spark II is an ultra-light sleeping bag with an astonishing packing size. It rolls down into a 2.9 litre compression bag, which can be further compressed due to the down feathers. This material has the best insulation coupled with the unchallenged compressibility. 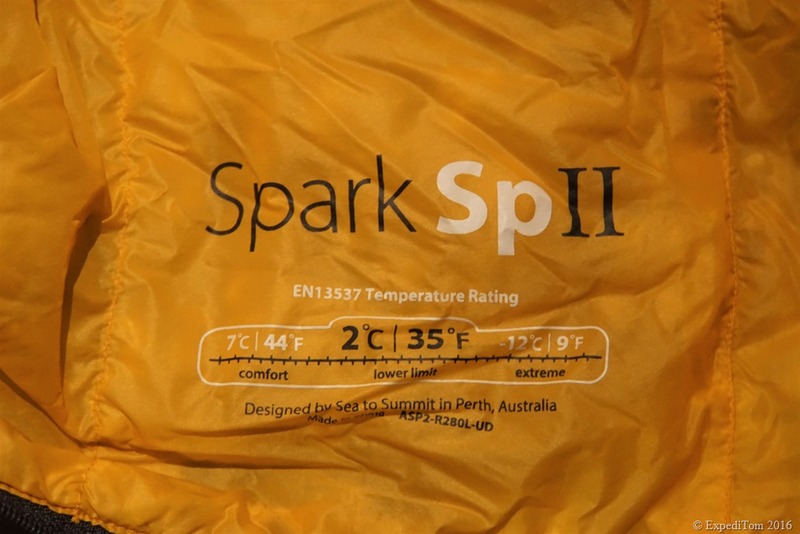 I felt very comfortable to sleep in the Spark II sleeping bag, although it is not very spacious. Furthermore, the the warmth is outstanding, given its weight one would not expect it to be as warm as it is. Although the 10D nylon material is extremely thin that you can even see through it, the sleeping bag is very strong and durable. Even after using it for over 2 months excessively there was no tear or any feather coming out of the Sea to Summit spark II sleeping bag. In comparison: my Patagonia Ultra-light down jacket lost heaps of feathers after a week. 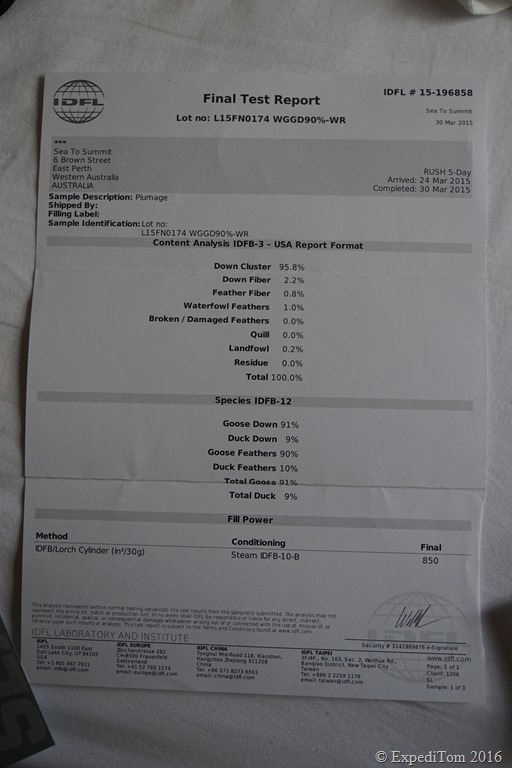 This and the fact that Sea to Summit provide a laboratory test sheet for the feathers, shows the outstanding quality of the Spark II. The laboratory test allows further more, to trace back the down feathers so you can be sure that the goose lived appropriate. Something else I appreciated was a well sewn and built foot compartment which ensures that you don’t have cold feet. Sea to Summit Spark II sleeping bag packed. Although there is a lot of great stuff to tell about the Sea to Summit Spark II sleeping bag, there are some drawbacks. First and foremost, is the clumping of feathers which especially happens around the head compartment. Due to too less sewing the feathers move around and generate cold areas where there is no insulation at all. The second problem is the white colour. In my opinion shouldn’t be outdoor equipment built-in such a bright colour because it gets easily dirty. For me the sleeping bag fits quite snug, but for more corpulent guys and gals the Sea to Summit Spark II sleeping bag might be too tight. Furthermore, the Spark II is pretty expensive but that’s the case with high-end gear. Another point to state is the zipper. The zipper is only one-third long. This feature is kind of special and one has to get used to it because it complicates to get in the sleeping bag. Given that I had to enter the Outdoor Research Aurora bivouac sac through an even smaller zipper it didn’t matter for me. Last but not least, I want to stress two particular things which are redundant for the experts out there: First a down sleeping bag only insulates if the feathers are dry and secondly down feathers hold dust mites which may trigger allergic reactions. All in all I’m still very impressed by the Sea to Summit Spark II sleeping bag who weighs barely anything and keeps you absolutely warm. There was only one particular night when the temperature plummeted below 5 degree which woke me up and forced me to wear the following nights more than only my boxer shorts. A large issue for some people might be the price. Nevertheless, I would buy this sleeping bag again, especially because the weight was for me as travelling backpacker utmost important. Needless to say, that this gadget will come with me on other adventures! 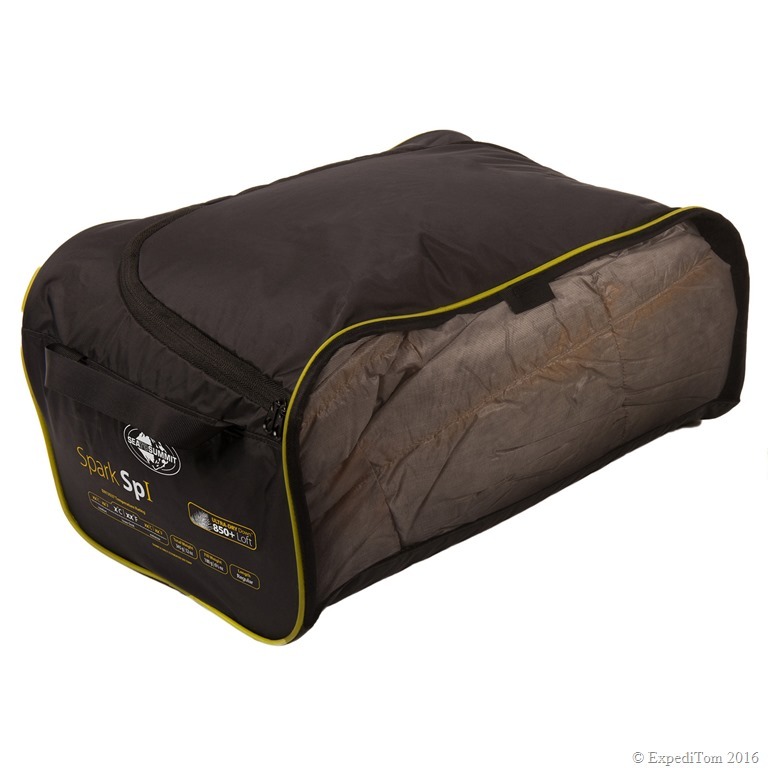 Buy the Sea to Summit Spark II sleeping bag here. What kind of sleeping bag do you use? 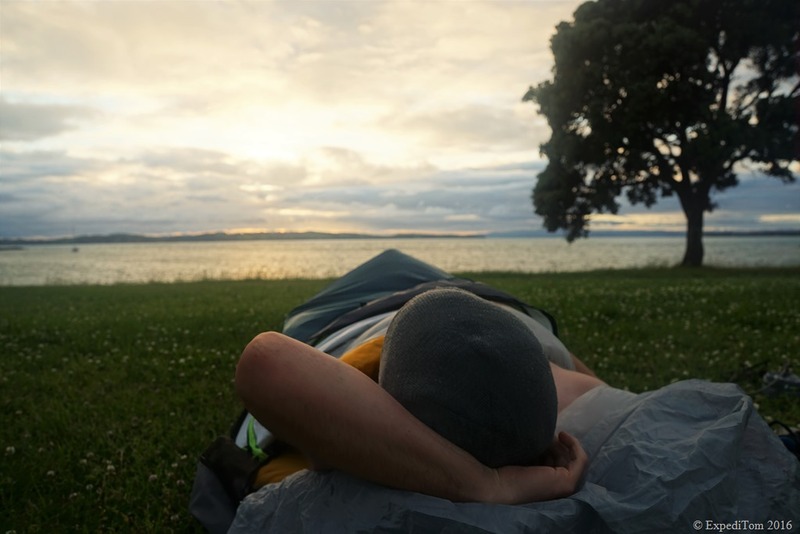 What’s your impression of the Sea to Summit Spark II sleeping bag? Hello to all, it’s really a pleasant for me to visit this web site, it contains useful Information.